The rise of customer-led marketing has thrown a very big spotlight on ways brands not only acquire customers, but also retain them. Understanding how to keep the returning consumer happy is no less a priority for ANZ Stadium’s CMO, who embarked on a two-year strategic member insights and engagement program in order to better understand its members and the services and digital offerings that will keep them coming back and spending more. 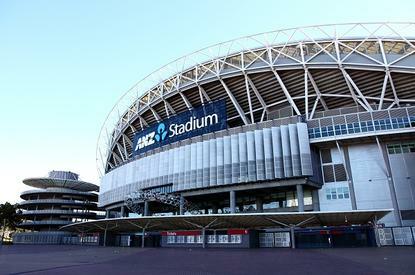 ANZ Stadium’s outgoing GM of marketing and membership, Melinda Madigan, told CMO the venue introduced a formal two-year strategic member insight and satisfaction research program in September 2014 in order to identify key retention indicators that could drive future creative and marketing efforts. The group has 17,200 members. “Member retention is one of my strategic priorities for the stadium and although already quite high at 92 per cent, we wanted to minimise any unnecessary churn,” she said. Madigan’s plans kicked off with an online member profiling study, focusing on levels of membership utilisation, member attitudes and behaviours in relation to entertainment and lifestyle preferences, attitudes to new products and services, as well as needs and expectations from membership. This was followed closely by an online member satisfaction research piece, as well as benchmarking studies throughout 2015. Madigan joined ANZ Stadium in February 2013. Having undertaken many consumer research programs in the past, Madigan said her first objective was to ensure ANZ Stadium had the right strategic research partner. She selected Sweeney Research (now EY Sweeney), then conducted workshops to scope out the venue’s research needs. To ensure organisational buy-in to any future membership programs and investments off the back of the research, Madigan also presented key findings to her executive team post each phase of activity. A key factor driving the potential for member renewal is convenience/ease of use, or what Madigan described as “functional loyalty”. Importantly, it’s this insight that’s seen marketing spearhead a raft of new member engagement strategies and services across ANZ Stadium. One of the more established digital offerings to be overhauled was online ticketing. In 2013, following the relaunch of the new-look ANZ Stadium website, the venue had developed a dedicated ‘members concierge’ portal, housing its online ticketing platform, Memberlink, which was created in partnership with Ticketek. Following the members insights research, Madigan and her team made a number of Memberlink changes over the past 12 months, particularly around transactions such as booking events, dining and parking. “The phase one upgrade has seen positive results and we are currently working on phase two, which will feature a new interface design and additional functionality including delivery of tickets via email and SMS, enhanced reporting and improved third-party CRM integration,” Madigan said. As proof of phase one’s success, she said membership visits were up 40 per cent in the first three months of its launch compared to the previous three-month period, with unique users up 37 per cent. Overall, membership enquiries through the website also increased by 46 per cent. In August, ANZ Stadium launched a members’ e-calendar that syncs new events, event updates and reminders with personal electronic calendars. The service is free to members and once subscribed, automatically adds any new events, event updates and reminders to their calendars. As a complement to online, ANZ Stadium created an onsite Members’ Concierge in March, coinciding with the first round of the NRL season. As well as everyday services, such as membership renewal, assistance with event bookings and special event-day offers and value-adds, there is also exclusive member merchandise, member fan passes and mobile phone charging station. In addition, ANZ Stadium piloted a member-exclusive event day courtesy shuttle and members’ VIP entry in July. A more recent service addition, also resulting from member feedback, is the introduction of fresh food outlets exclusive to members in September, providing a broader selection and healthy choice items based on season and demand. Thanks to these service-based customer engagement efforts, Madigan said member satisfaction indicators have risen by 10 per cent year-on-year. “Unsolicited feedback has been strong, with retention also up year-on-year,” she said. Melinda Madigan was selected as one of CMO’s inaugural CMO50 for 2015. You can read her full profile, including her insights into the role of CMO and her data-driven marketing strategy in our CMO50 portal.